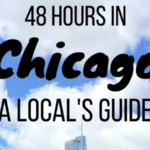 Chicago is one of the best cities in the world for foodies! Although Chicago is famous for its deep dish pizza and Chicago-style hot dogs – there is so much more great food in Chicago. Don’t limit yourself to just these iconic dishes, but you should definitely try those if you are visiting Chicago for the first time. 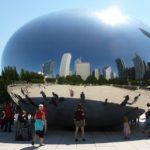 Here are some of my recommendations for where to eat if you are a first time visitor to Chicago. A Chicago-style hot dog or Chicago dog is one of the two foods that Chicago is most famous for. 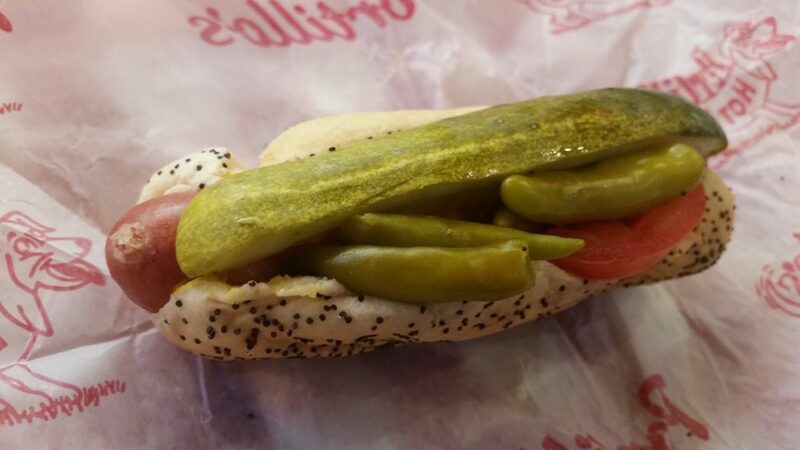 The classic version of the Chicago dog is an all-beef hot dog served on a poppy seed bun and topped with yellow mustard, pickle, relish, sliced tomato, onions, sport peppers and celery salt. Ketchup is famously not allowed. Portillos is a convenient restaurant to try the Chicago hot dog as it has outposts all over Chicago. Most tourists will head to its huge River North location which can get busy during peak lunch hours. Downtown Dogs is my favorite understated spot to grab a Chicago dog and I love that it has photos of dogs taped on the walls. It is a tiny restaurant located a few steps away from the John Hancock building and Michigan Avenue. Superdawg is an old-school drive-in which serves its own version of the Chicago dog. 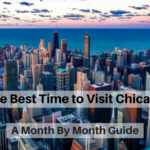 It is located off the tourist beaten path on the Northwest side of Chicago and is a bit of a drive from downtown Chicago (about a 20-30 uber or lyft drive away or more depending on traffic). There is a lot of debate which restaurant in Chicago serves the best deep dish pizza but you can’t go wrong with either Lou Malnati’s or Giordano’s, two of the most popular and famous choices with several locations in downtown Chicago. If you do eat at one of these keep in mind that they are usually busy especially on weekends and in the summer (during peak times you will often see people waiting outside on the sidewalk). Most locals prefer Pequods in the Lincoln Park neighborhood of Chicago which is said to have the best deep dish pizza in Chicago and is famous for its caramelized crust. Al’s Italian Beef is the best and most famous place to try an Italian beef sandwich. You can also try Italian beef at Portillos if you are there for a Chicago hot dog. For popcorn head to Garrett Popcorn Shops. There are several locations including Navy Pier and Michigan Avenue. Gibsons Bar & Steakhouse is a Chicago classic restaurant in the famous Viagra triangle in the Gold Coast, and it has great people watching and you might even spot a celebrity or land a sugar daddy. The restaurants below are famous not because of their food but because they have killer views of the Chicago skyline. Cindy’s is a restaurant and bar on the rooftop of the Chicago Athletic Association Hotel located near Millennium Park. Make sure to spend some time outside on its famous open-air terrace which offers panoramic instagram worthy views of Millennium Park and Lake Michigan. This is a popular spot due to the amazing views and the wait for the elevator can be long but if you visit around the time it opens (10:00 am on the weekends and 11:00 am on weekdays) you can enjoy the great views without the crowds. The Singapore Room at the 95th has a restaurant on its 95th floor of the 875 North Michigan Avenue (the building formerly known as the John Hancock Center) and one of Chicago’s tallest buildings. J Parker is a restaurant and bar on the rooftop of the Hotel Lincoln with 180 degree views of the lakefront.